“You walk and we stand ahead of you. Don’t respond to Trump’s provocations because he is insolent and not at your level. I shall face him myself”. 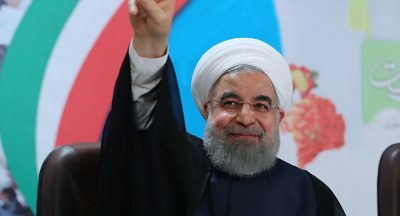 Rouhani believes “US policy and its new conspiracy will fail”. All responsible figures in the Iranian regime are now united under the leadership of Imam Ali Khamenei against the US policy whose aim is to curb the regime. Featured image is from Russia News Now.